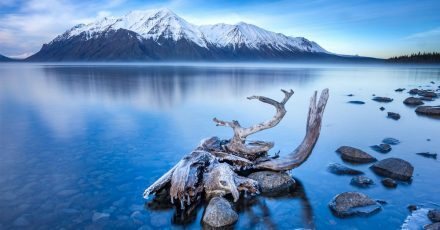 With Canon’s introduction of the new EOS 6D comes a question that many people are going to consider. 5D Vs 6D. For full frame Canon photography there has never been this choice before in this price bracket and it is exciting that people who have been using APS-C cameras for some time, now have the opportunity to upgrade. The invention of APS-C sized sensors was purely down to the manufacturing costs of CMOS sensors when digital DSLRs were developed. The cost of the sensor represented a huge proportion of the overall camera cost but now, as that cost has come down the manufacturers are finally able to offer full frame 35mm CMOS sensors in a more affordable price bracket. A small question we should address first though is do you even need a full frame camera and what benefit will it be ? Many people are familiar with this of course but at the same time, now these cameras are entering a new space in the market there are also many people who might not be aware of the benefits. The diagram below shows the relative sizes of Canon’s two sensor sizes. The 60D and 7D are their current APS-C cameras, while the 6D, 5D Mark 3 and 1D X are all full frame. With the number of pixels on the sensor spread out over a much larger surface area the pixels of a full frame camera are much further apart than on an APS-C camera. The distance is referred to as pixel pitch. The closer the pixels are together the more they can cause issues with their neighboring pixels and this typically manifests itself as digital noise in the final image. A full frame camera then has a much cleaner image at high ISOs and less shadow noise across the board. 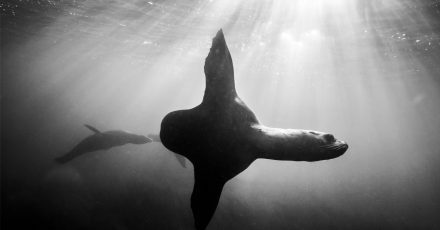 The next major difference is that Canon EF lenses were designed to accommodate an image circle projected from 35mm film. 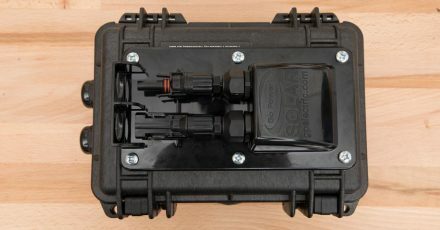 When an APS-C sensor camera is used, only the central part of the lens is being used. 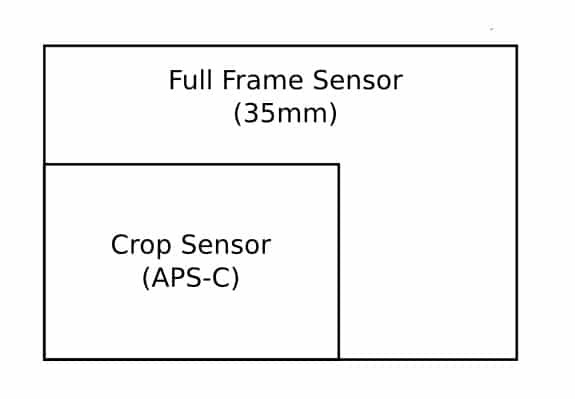 This results in what we know as crop factor, which is 1.6x for APS-C. So a 50mm on a Canon 60D looks like a 80mm when you look through a viewfinder. An often overlooked benefit is also the viewfinder itself. The full frame pentaprism is much larger so it appears as though you are looking through a wide window when you look into a 6D. Whereas on a 60D it looks like you are peering down a corridor. It’s somewhat hard to describe but the result is that you can see so much more through a full frame viewfinder and it becomes easier to pick up small details in the scene you are shooting. It’s almost impossible to go back to a crop camera after a full frame for that reason alone. The final major difference is that the depth of field with a full frame camera is much less for a given aperture on a given lens. So f1.8 at 50mm on a 6D will have a shallow depth of field to f1.8 at 50mm on an APS-C camera. If that is a look you like then it can be far more easily achieved with full frame cameras. 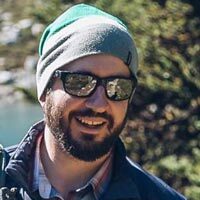 Now that we have the argument for using full frame out of the way let’s analyze these particular options. I’m going to start with this because it’s the biggest difference and probably, for many people will determine which camera is best for them. The Canon 5D Mark 3 features an almost identical AF system to the current king of the lineup EOS 1D X, save for the 1D X having a dedicated Digic 4 processor for AF and 5+ for metering whereas the 5D uses the Digic 5+ for both AF and metering. In other words, at time of writing this is pretty state of the art stuff in the 5D. The AF system is immensely customizable and the 61-point system features 41 cross-type points. On the other hand, the 6D has 11 AF points of which only a single one is a cross-type sensor and that is only with an f2.8 lens. On paper these AF systems are night and day, though Canon claims the 11 point system is capable of improved accuracy at extremely low light levels it is unclear to me what that is compared to. Honestly if you are a professional shooter, i.e. you make your money from the photos you take with either camera then you should be looking at the 5D and not the 6D for your primary body. The customization options alone will just make your working life sweeter and the improved AF will play a factor at some point unless all your work is still life macros. If you are a pro looking for a second backup body then sure, the 6D should fit nicely and I think I might pick one up myself for that very purpose! If you’re a part time shooter or just an avid amateur looking to make a leap to full frame then you have to ask yourself what it is you are going to be shooting with this camera ? 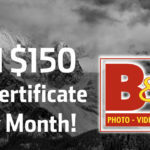 If you want to shoot sports or wildlife and you have the budget for the 5D then that should absolutely be your choice. Both of these shooting subject are going to suffer at the hands of an 11-point AF system. If on the other hand you shoot things that move a little slower, like people and weddings, perhaps landscapes then the 6Ds lower grade AF shouldn’t trouble you. Plenty of people made a great living shooting such subject with the previous 5D Mark 2, and that had a similar AF System. I’m sure it will be accurate, it just won’t track as well but if things aren’t moving …. no problem. Taking photos of your family on vacation… no problem either. As I mentioned, I think the AF variations are the tipping point for most people. Other features, or lack thereof can be worked around but if you want to shoot sports and you can’t lock focus then there’s nothing you can do. You could also take a look at the 7D which has a 17-point AF system that fits somewhere in between the 5D and 6D in terms of ability, though of course you’ll loose the big bright view of a full frame prism and the resultant look from your images as well and my guess if that if you’re reading this article then that is something that you want. Both cameras feature the same native ISO range and also the same optional expansions. 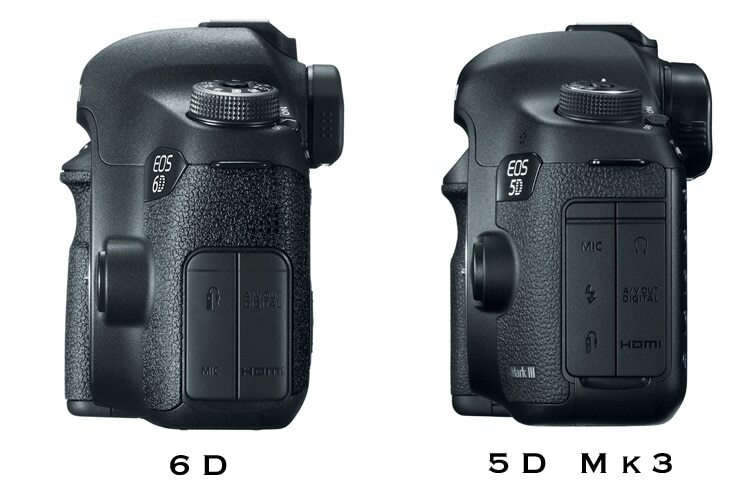 The 6D packs less pixels onto the same sized sensor so the pitch is actually less, though not by much. In this area I doubt that we will see any noticeable difference except possibly under pixel-peeping lab test conditions. 20MP Vs 22MP is just not that much of a difference and considering they both use the same Digic 5+ processor they should be on par. If you don’t require the fancy 61 point AF system but your subjects still hide in the dark (weddings ?) then this is good news. If occasional weddings are your thing , or night time cityscapes then the 6D will be a good choice and save you enough pennies to pick up a Canon 24mm f1.4 II. 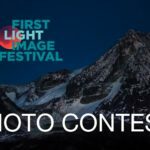 Canon’s best low light prime lens! That would be quite a combination. 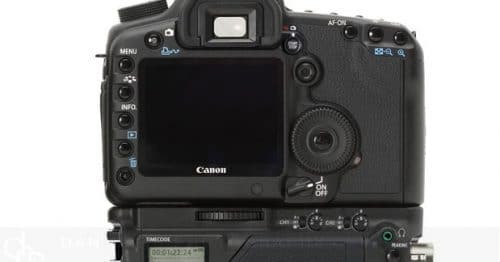 Canon have positioned the 5D Mark 3 as their DSLR for video shooting and the 6D protects that by omitting a key feature that many people screamed for from the old 5D, a headphone jack for audio monitoring. 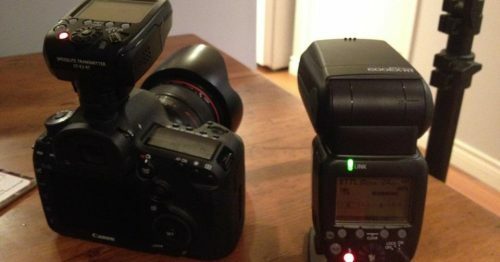 You can never underestimate the importance of audio and that means that if you plan to capture in camera audio with a small run-and-gun style package then the 5D is likely a batter bet for you. With that said, the 6d is still a full frame camera and will produce great footage that will be at least on a par with the 5D Mark 2, and we all know how much use was made of that camera. So it shouldn’t be looked at as a bad camera for video, just one that can be better featured if you spend the extra $1400. The 5D also features timecode where the 6D does not. As a B-camera to a larger video specific camera such as a Sony FS100, Canon C100 or C300 then the 6D should take up the slack in that sort of area pretty nicely. In summary, if you plan to buy either primarily to work with video then for for the 5D but if you plan to d only occasional video then the 6D is still going to be great, and a big step up from something like a 7D or 60D with their APS-C sensors. I want to make a point of this because the 1/180 sync speed on the 6D is abysmal. Now for 90% of people this won’t make an ounce of difference but if you plan on using the 6D to shoot any sort of action outdoors in the bright sun then then 180 is just going to make your life miserable. 1/200 on the 5D is bad enough but I’ve never seen a DSLR go as slow as 1/180. Poor show Canon, come on!! This maybe be a ‘cheap’ full frame but it’s still a $2000 camera !! Rant over. Moving on. This is well worth a mention because the 6D is the first time that Canon has actually built both of these things into one of their DSLRs. 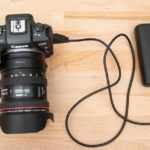 Optional accessories are available for the 5D MK3 to add WiFi or GPS but they come at a price of several hundreds of dollars. Worth noting though is that Canon say the GPS in the 6D is only accurate to about 100m. 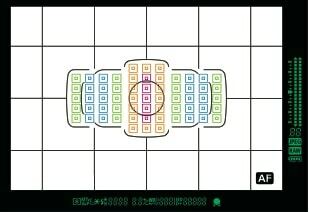 I believe the additional GPS accessory (which works for 6D and 5D ) is accurate down to a much smaller area. If that is of interest to you then it should be noted. The GP-E2 will also record the direction in which you are pointing the camera whereas the 6D’s built in GPS will not allow this. My personal view is that external devices are clunky and usually not worth the hassle. I wish it were built into more cameras! I find it hard to think of a situation where the inclusion of GPS would seal the deal on this decision but it could certainly contribute to an overall opinion. I think it has its uses and is especially fun for the family when you take photos through your vacation. With integrated map modules in Lightroom 4 now, geotagging is going to gain some traction. I can certainly see myself looking back over thousands of images in ten years time and wishing that I knew where they were shot so I think it’s a neat feature and it makes me sick that the damn dongle to do this on the 5D is $250 whereas its built into the 6D at no cost. 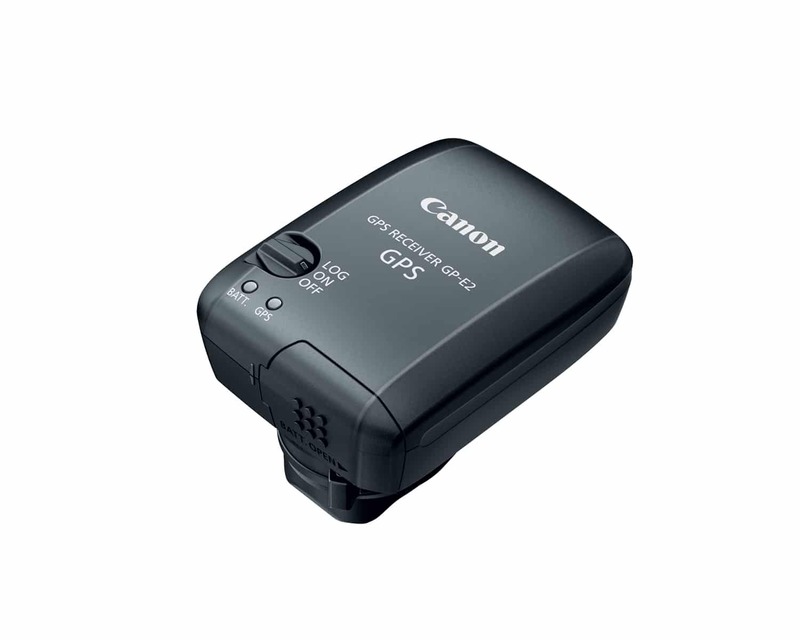 As for WiFi, again it’s possible to add this to the 5D at a huge cost – $780 !!!! So if you really think you want WiFi then that is a compelling reason to use the 6D instead. Note that the WFT-E7 does have an ethernet port though so if you need that for networking then you don’t have this option on the 6D. WiFi is one of these things that has yet to come into its own due to the previous high price of the adapters required. I hope that now it’s included in a DSLR we will see all sorts of fun uses for it. Canon say you can control the camera via your iPhone, but that is just the beginning of possibilities. You could send photos instantly to a client , you could stream photos at a wedding right to a projector or TV at the reception or simply just shoot tethered in the studio without actually being tethered. If any of those things are on your to-do list then it makes a compelling reason to choose the 6D. The usefulness of a fast shooting speed is normally coupled to the ability to track a moving object as it’s doing something worth shooting. Since we’ve already established that the 6Ds weak spot is the AF system , the fact that the continuous burst rate is only 4.5fps vs. the 6fps of the 5D isn’t likely to become a huge factor. Take it from me as a guy that shoots action for a living, you will notice that 1.5fps difference , you really do! So again, sports and wildlife people stick with the 5D MK3! For all other purposes though, 4.5fps isn’t too bad and it’s certainly plenty for shooting people or for use with strobes where your shooting requires waiting for strobe recycle. Only SD cards on the 6D is not a real issue and neither is the lack of twin slots as you get on the 5D. Sure it’s nice to have but in reality I’ve only ever put it to use maybe twice in my whole career. SD cards these days are robust and cheap so I wouldn’t let this influence your decision. A few years ago I was wary of those tiny cards but now I use them all the time and have no issues. 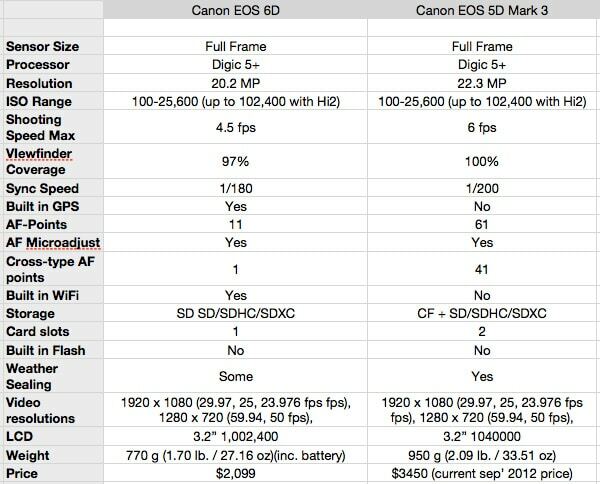 These are really the main points to consider in this argument and it seems that Canon really tried to create a camera that doesn’t overlap the 5D MK3 too much. The cost saving of the 6D is considerable though and I have to say that if I didn’t already have a 5D MK3 as my backup I probably would have been content with getting the 6D and using the 1D for the fast sporty stuff. I would love to have had GPS on my recent month long trip around Europe. So to wrap it up generally, if you like to shoot things that move then skip the 6D. If you don’t, or it’s not a big priority then consider the 6D and the other points I have made about it here. I’m sure the image quality itself will be fantastic. Here’s are some handy links to purchase either of these. If you do click though one of these to make your purchase I might get a small amount from it to help with the costs of my site. 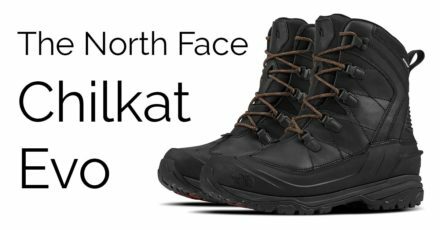 It doesn’t cost you a penny more but it really helps me to keep running this site! 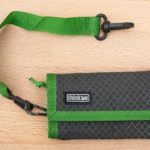 Hoodman Hoodloupe 3.0 – A useful piece if kit! If you need a cheap alternative to gps and have an android phone use gpslogger by mendhak. It’s free and has good ratings. Very good writeup on the comparison. I know these are the newest lines, but I wouldn’t really consider comparing a 2000$ camera with a 3000$ camera. 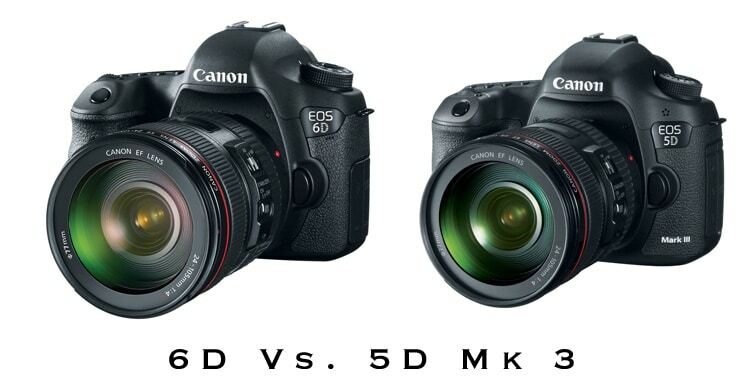 What I would be really interested in though, is your comparison between the 6D and a 5D Mark II, since they are relatively the same price (regardless of the MII being “old” technology). Thoughts on that? Thanks guys, appreciate the feedback. I think that you have a good point here and I should address it with another post. I can tell you right away though that I think the 6D would be the better choice compared to the 5D Mark 2 though but I will create a dedicated post to tackle this issue. I thought the same thing about the integrated GPS and wifi… Damn Canon. This big GPS dongle that I lug around for the 5D3 I suppose is more accurate though and also provides compass bearing which I’m assuming the 6D does not? Correct, as I think i wrote in the article. It’s more accurate and gives a bearing which the 6D does not. I have same doubt for going on to FF “6D or 5D mark III” (I have 60D and I like to switch to 6D because of same buttons but also 5D III is not to much diffrent). I see that everybody talk about AF points, GPS and Wi-Fi. For AF points it is clear that 5D is winner but can you explain me more GPS and Wi-Fi. I found that nobody write about power consuming if you start ON both on 6D (How much we can ork with one battery or e need GRIP). As I know GP-E2 and WFT-E7 have independetbattery what is also big plus (problem is you can not work with both because they both need usb conn.). Please make corrections if I am not correct and sorry because of my english. Consider please that I am new in this PHOTO world but not so bad for bigginer. interesting comparison, thanks! I think all your points are very valid but I miss a word about the build quality of the bodies. 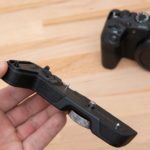 Is the 6D a “lesser” option in this regard? Would you take it out into the wild on a shoot in rough conditions? 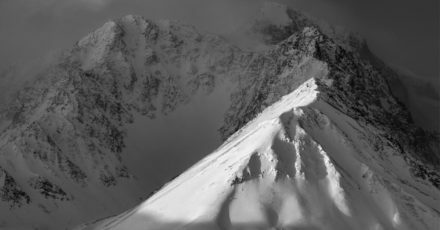 I guess the 5DIII is rather though (even my 7D holds up very well when I take it out for hiking, mountaineering and skiing in sometimes bad weather) but how would you feel about the 6D? Great article – thanks for the info. A friend needed this to help in making a decision. I already have the MK 3 so am set. Just FYI … I bought the GPS device for the MK 3 and it was accurate to within about 15 miles! Yes. That is correct … 15 miles. I tested it from different locations and it never came close to where I was actually shooting from. It was terrible. I took it back to the store and we tested another one right there in the camera store. We knew the coordinates for the camera store. The GPS device recorded a coordinate that was 22 miles away (about 15-16 as the crow flies)! Good comparison. I think I am going to upgrade to the 6d. the thing that annoys me most aoout 6D and 60D is how they removed the flash exposure compensation from the top. Now how is someone supposed to quickly do TTL flash compensation? Configure the “Set” button that is by default unassigned when shooting to bring up the “Quick Control” Screen. Set the cursor over FEC on the “Quick Control” screen. The next time you press the “Set” button while shooting the cursor will still be in the same place and all you have to do to change FEC is move the rear control dial counter-clockwise to decrease or clockwise to increase. The chosen value is locked in when you half press the shutter or push the “AF On” button (assuming it is set to the default of starting focusing/metering). Once you’ve got it set up, all you have to do is use your thumb to press “Set”, spin the dial around the button you just pressed with the same thumb and then shoot! For me that is easier than fumbling around on the top of the body for the FEC button and moving my index finger off the shutter button. By operating the back button and dial with your thumb to change FEC, your index finger never leaves the trigger and your eye never leaves the viewfinder. 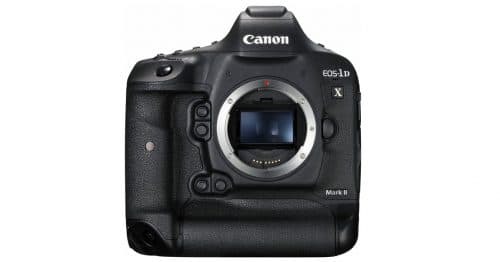 You can usually get a refurbished 1DMKIII with warranty from the Canon store for around $2800 which is less then a $800 difference and is definitely worth it in my opinion. This article was FANTASTIC, thank you so much. You are a gifted teacher and I feel so much better about knowing my options as I seek to purchase one of these babies soon. Thank you!